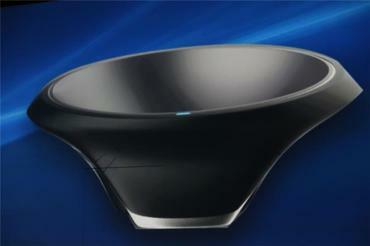 Intel thinks your gadgets need a bowl of their own. For years, people have been “recharging” with a bowl after a long, hard day. Soon, their electronics devices, will be able to do the same, thanks to Intel’s Humboldt County product design studio. If it ships at the end of year, as expected, Intel’s charging bowl will be the first product from Intel’s Northern California outpost to make it to market since it was opened in 1972, just a few short years after Intel’s own founding in 1968. This entry was posted in General and tagged intel on September 29, 2014 by eas.